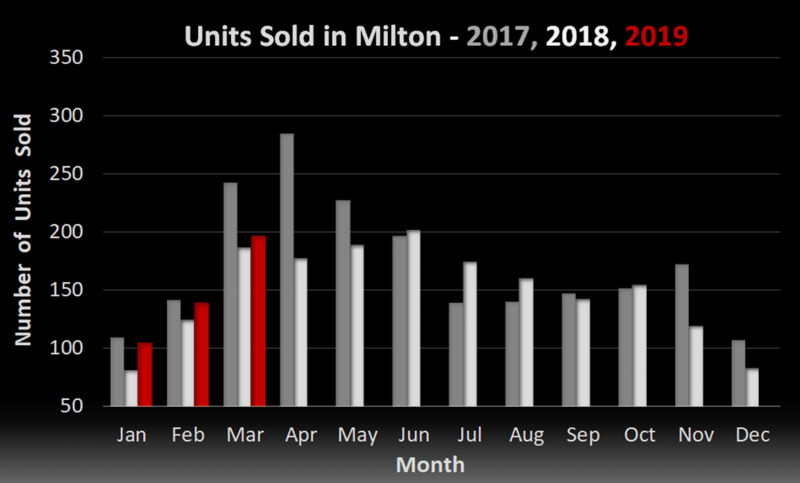 Milton’s 196 residential sales in March 2019 represent a moderate increase of 5.4% in volume when compared to March 2018. The average sale price of $708,900 is up 3.5% when compared to the figure from 12 months ago. What we are seeing is renewed faith in the market from buyers now that interest rates have stabilized (and might even drop!). After a period of rising interest rates and uncertainty about future affordability, this is a welcome change. Inventory levels are quite low (sitting at 6 weeks as of this writing), so we are seeing many homes selling quickly, at or above their list price. In March, 34% of homes sold for at least the full asking price, with 22% selling over asking. 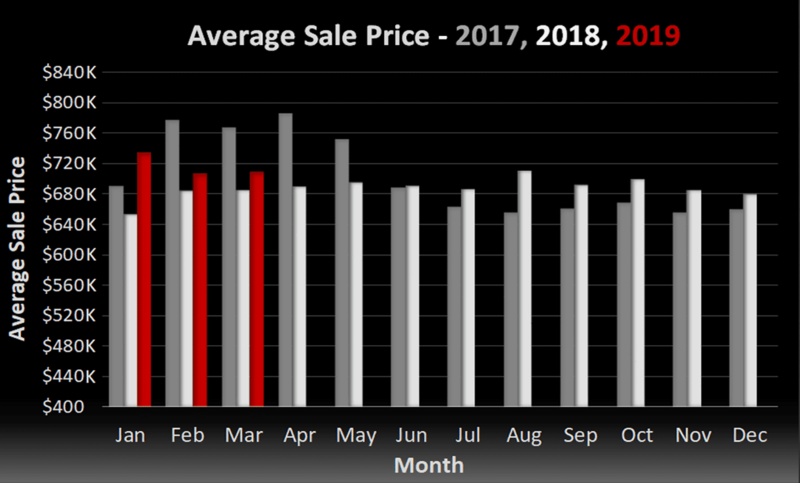 We do anticipate this trend to quiet down a bit as inventory catches up in the coming months and for agents price their homes accordingly. With monthly rental amounts at an all-time high (and availability being extremely scarce), we are also seeing many investors coming back to the market. Properties types which suit savvy owners are once again becoming a hot commodity. If you’re looking for an upgrade this spring season or want to make an investment in real estate, don’t hesitate to give us a call or send us an email. We’re never too busy to chat.